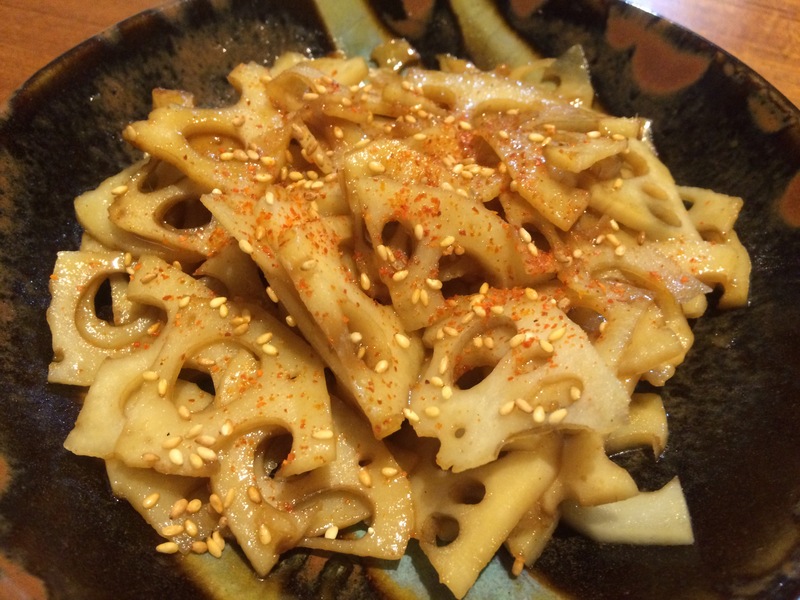 Lotus root is interesting. It can be cooked in many ways and the texture changes depending on how you cook. By grating it, you can enjoy mochi-mochi texture. 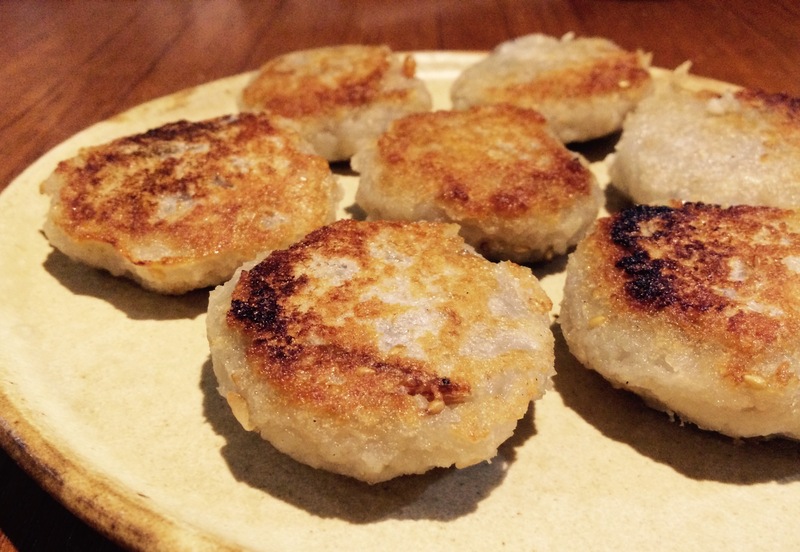 This Renkon-mochi is a simple yet satisfying dish. 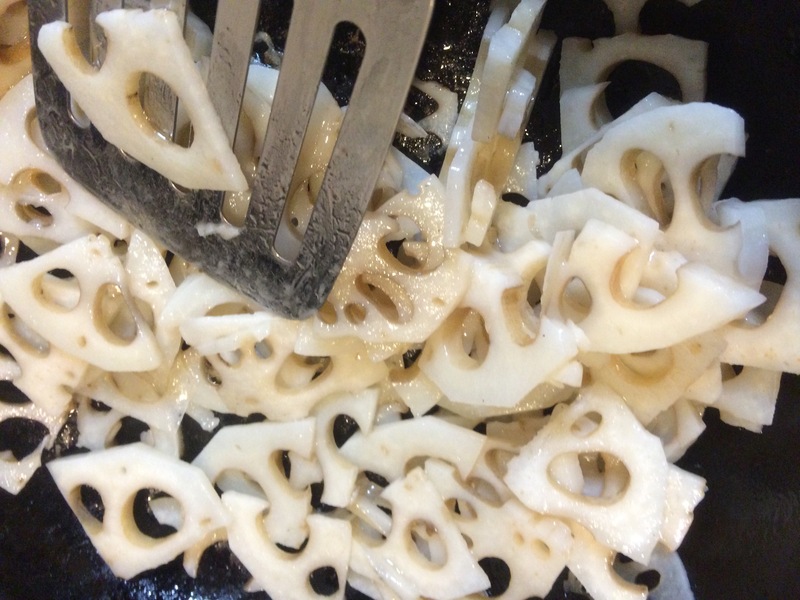 Peel and grate lotus root, then gently squeeze the moisture. Add potato starch, sakura shrimps, sesame seeds and mix well. Then shape the mixture like a disk. *Instead of sakura shrimps and sesame seeds, you can add chopped chives, hams, etc. Heat and oil a frying pan. Fry the mixture.